Enterprises are increasingly turning to cloud services as an integral part of fulfilling their mobile strategy. Cloud services offer stability, scale and function beyond the capabilities of many organizations’ on-premise infrastructure. But relying on the public cloud has many IT administrators wondering - is it secure enough for my corporate data? 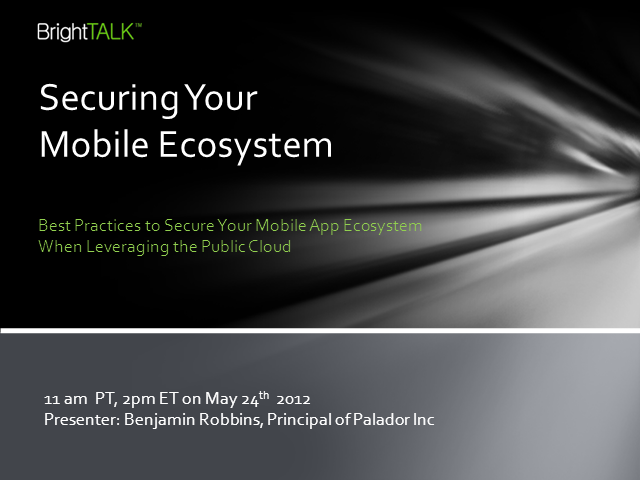 Join Benjamin Robbins May 24 to learn best practices for building your mobile app ecosystem securely using public cloud services. Learn what security features are must-haves and how to identify vendors that comply. We’ll also discuss how to assure security policies can be managed and enforced for your anytime, anywhere workforce.